Glass has a soul, a memory and you cannot force it: it reacts and moves according to its times and its rules. In order to learn them we need time, experience and passion. It involves an expertise that in the family of Master Oscar Zanetti has been handing down continuously for three generations: from his father Licio he learned the secrets of the trade and the talent for the crafting of naturalistic subjects with a style that is one of a kind and unmistakable. 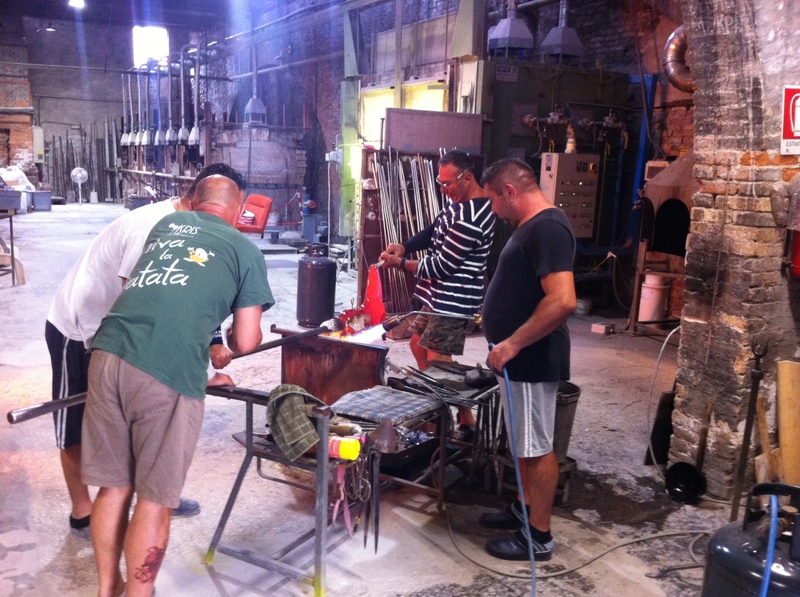 His skill in glass processing has led him to collaborate with internationally renowned artists such as Guido Pettenò, Rodica Tanasescu Vanni, Stefan Szczesny, Bruno Pedrosa and many others. His talent has allowed him to exhibit his creations at the Venice Biennale as well as in many galleries all over the world. But above all else, this artistic collaboration has given him the chance to face new challenges such as that of creating objects of sizes and shapes that were increasingly arduous and to continue in his endless pursuit of perfection.